Alright, well, the title is slightly misleading. If you follow me on instagram, you’d notice that I’ve recently been obsessed with these pair of shades. These are my go-to shades, the ones I instinctively reach for each time I need a pair to go along with my outfit. They also have really cool treatments and textures included in their frames selection as well. 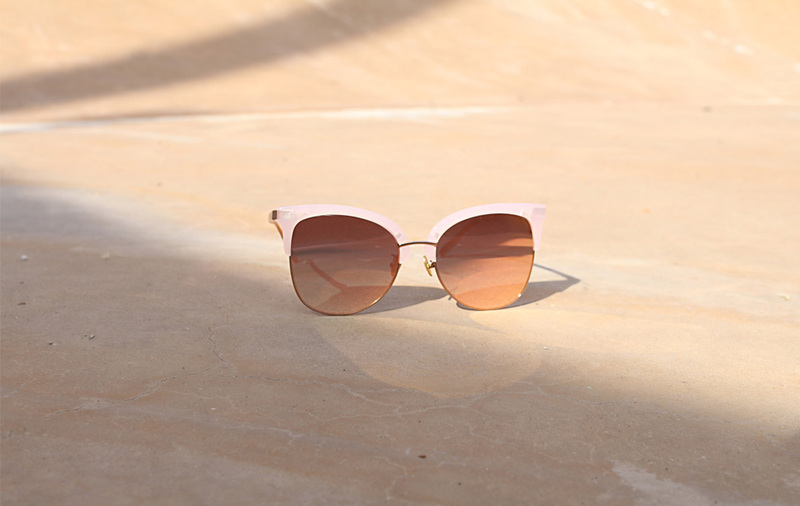 The good folks over at Clic Clac reached out to me and gifted me a pair of sunnies of my choice, and I made the difficult, but ultimately, correct choice of selecting this pair – the Gaga glasses in pink. They were, however, really sweet, and sent along another pair, which I have worn in multiple ootds as well! Guess I’ll leave that pair for another post. Made the terrible mistake of making it out of fleece though, a completely impractical choice on my part, but the good thing is, it took like a whole of 15 minutes to make so I can just make another one with a different fabric choice. Getting major 90s flashback with this cute tennis skirt from Pomelo. As much as the 90s was the highlight of my youth, I wasn’t quite sure how to pair this piece without coming out looking like a teenager (wannabe) so I went back to basics for this look.